GEHWOL FUSSKRAFT Mint combines the revitalizing icy freshness of a cooling mint lotion (composed of an Asian medicinal plant oil) with the gentle caring effect of a rapidly-absorbing balm. 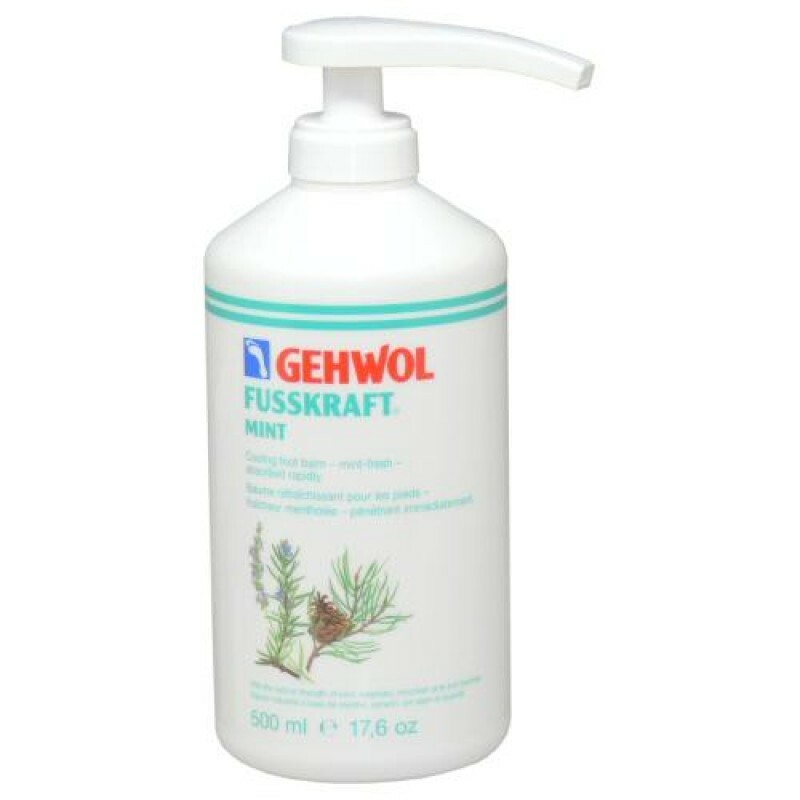 Natural menthol, essential oils from rosemary, mountain pine and lavender refresh and strengthen tired, aching feet instantly. The non-greasy cream also provides long-lasting protection from foot odour and is an ideal choice for clients with active lifestyles. Spread a thin layer of the cream on feet and legs daily and gently rub in to experience the feeling of having clean and supple feet.